These multi-purpose bathroom essential items can be used for math too! Make geometric shapes with Q-tips. How many do you need to make your shape really neat? 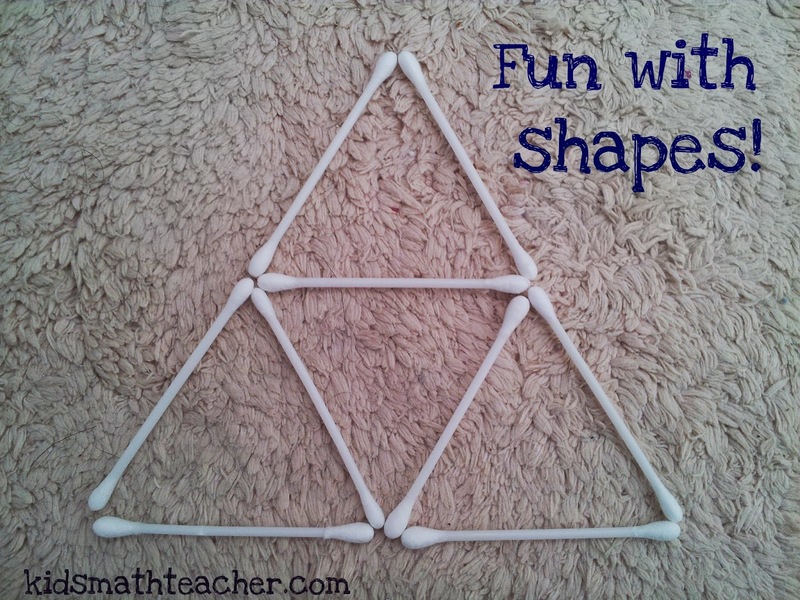 If you have hot glue you might be able to make 3D geometric shapes too! If you make a shape such as the one above--count how many triangles are there. The one with 9 squares is neat too. Lots of geometry can be taught with Q-tips. If you make the above shape you can find the area of the the triangle. I love making hexagons and octagons too. Can your student find out how to make them? You can teach line segments, rays, lines, parallel, acute angles, obtuse angles and more using Q-tips! 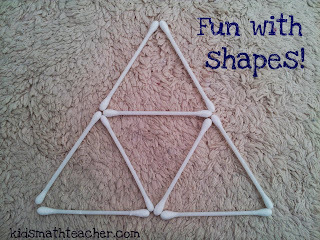 What other math activities can you think of with Q-tips?